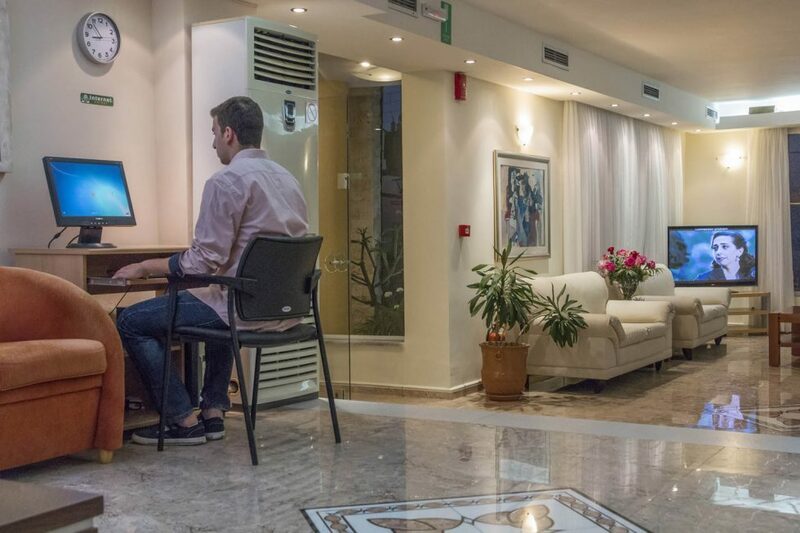 Your first impression of your stay ought to be the best one, which is why we have created a welcoming and cozy lobby with a comfortable sitting area for you to enjoy. 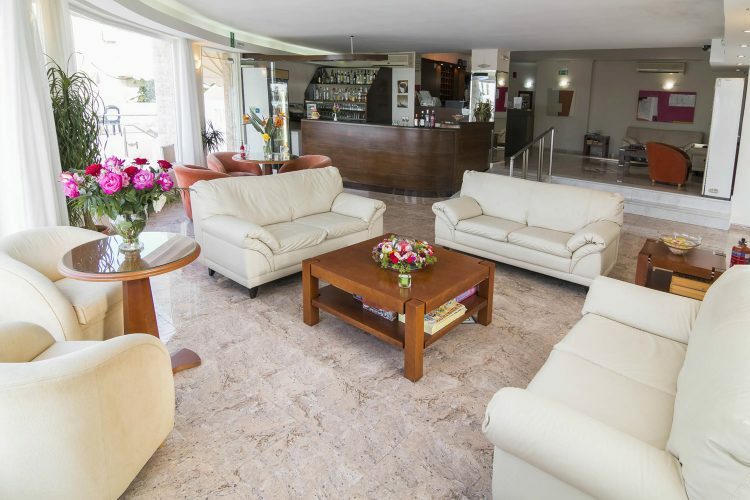 At the lobby one may find a small library, an internet corner with free WiFi for our guests, a satellite TV and last but not least a coffee-brazilian bar overlooking the sea and the picturesque harbor with the chapel. 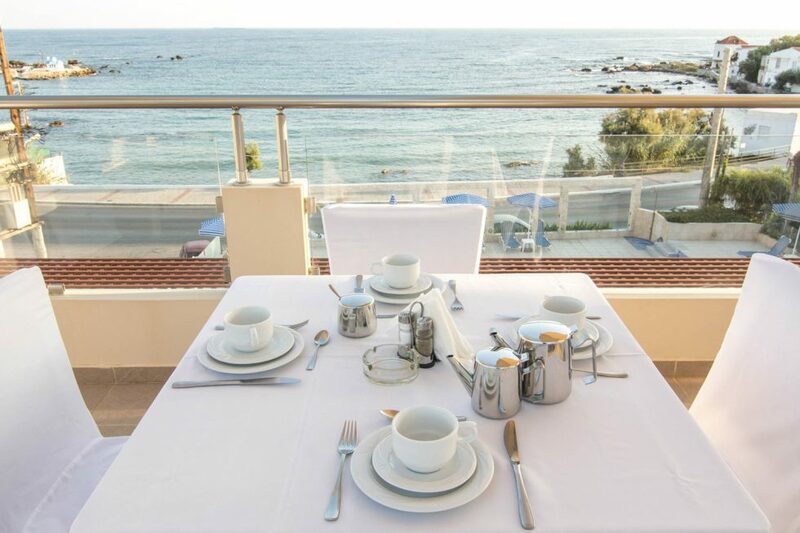 We are particular proud of our Roof Garden, where one may enjoy unobstructed panoramic sea views, in a serene and stylish environment, while tasting traditional Cretan and international delicacies served by our friendly staff. 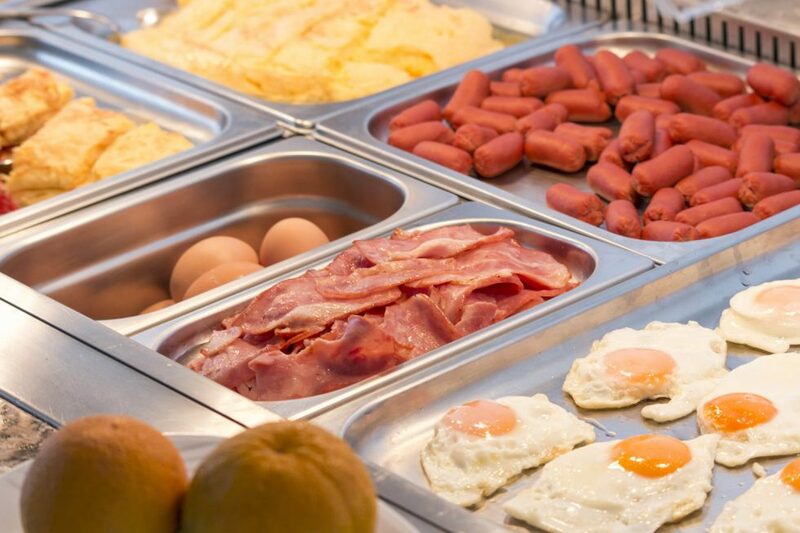 Nothing like a breakfast of champions to kick-off your day! 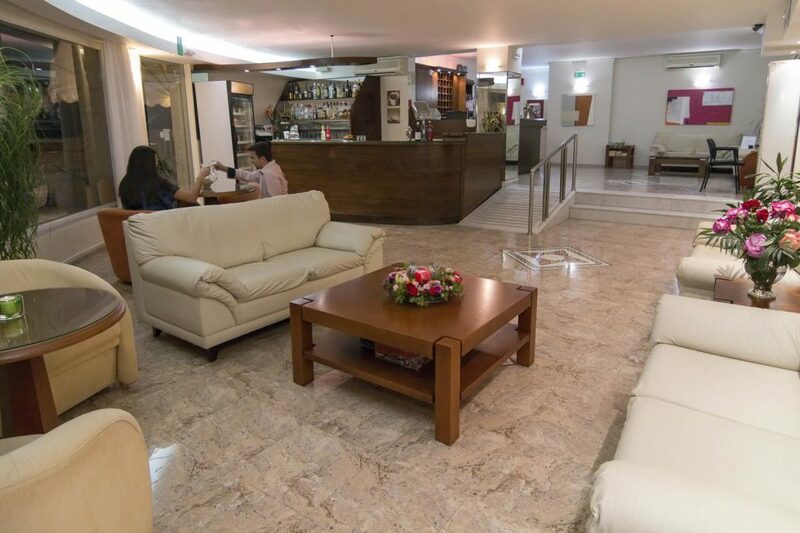 Here in Porto Alegre Hotel we give a great deal of attention to the beginning of every day because we feel it sets the tone for the rest of your day. 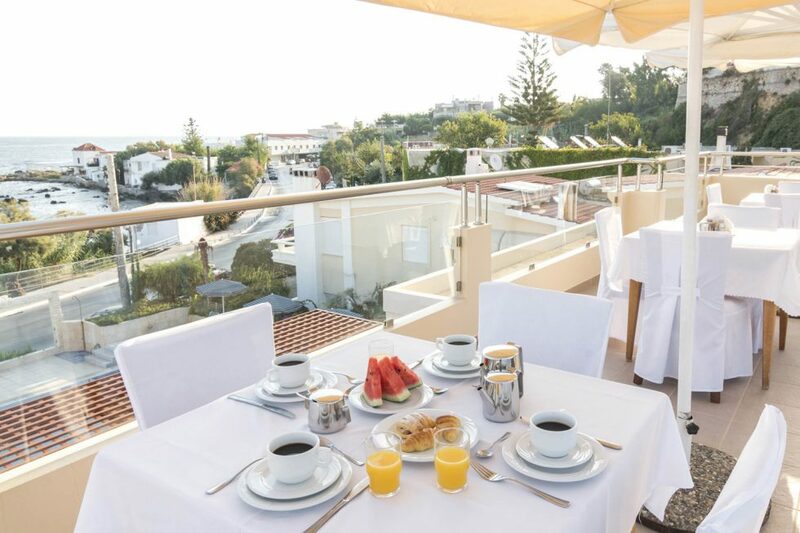 Visit our roof garden terrace for breakfast where the views are breathtaking and the dishes are mouth-watering. 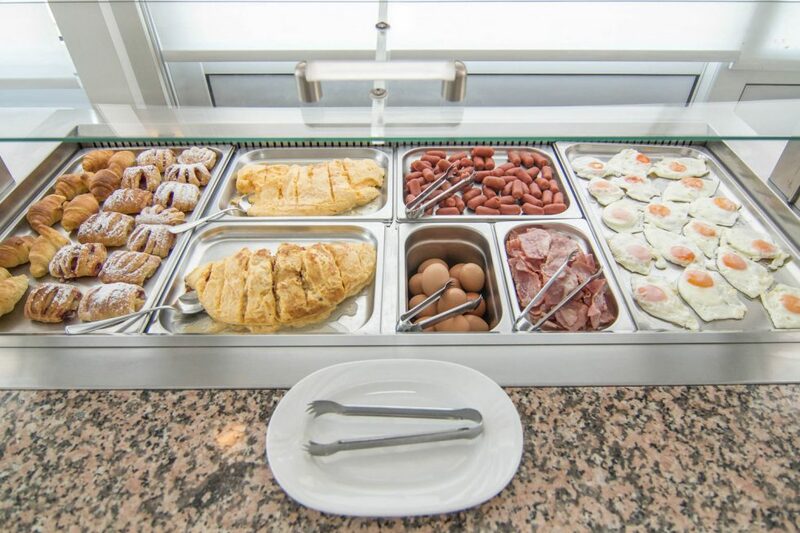 Every day from 8am – 10am our chef serves popular continental dishes as well as fresh traditional Cretan delicacies that will satisfy the most demanding. 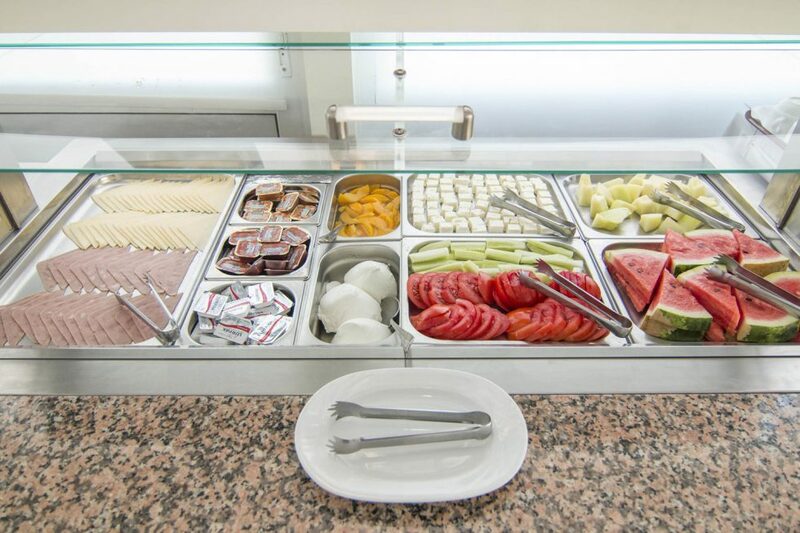 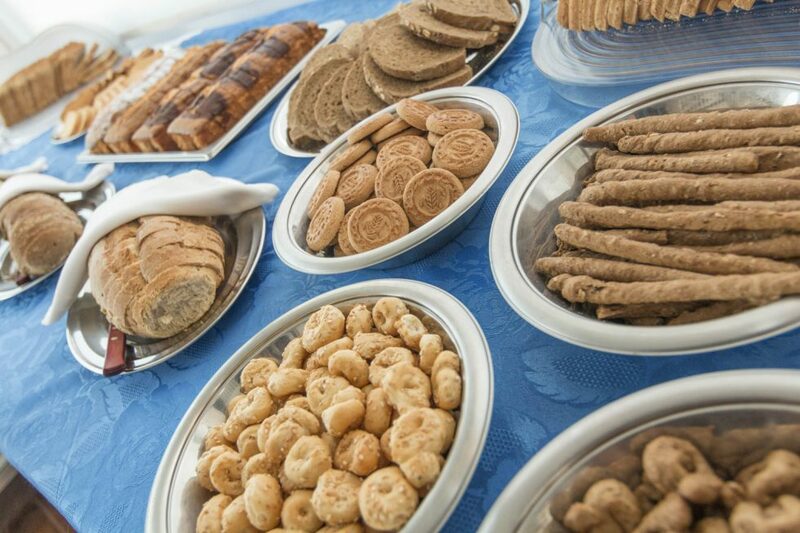 Don’t miss out on our all-day snack bar café located by the pool. 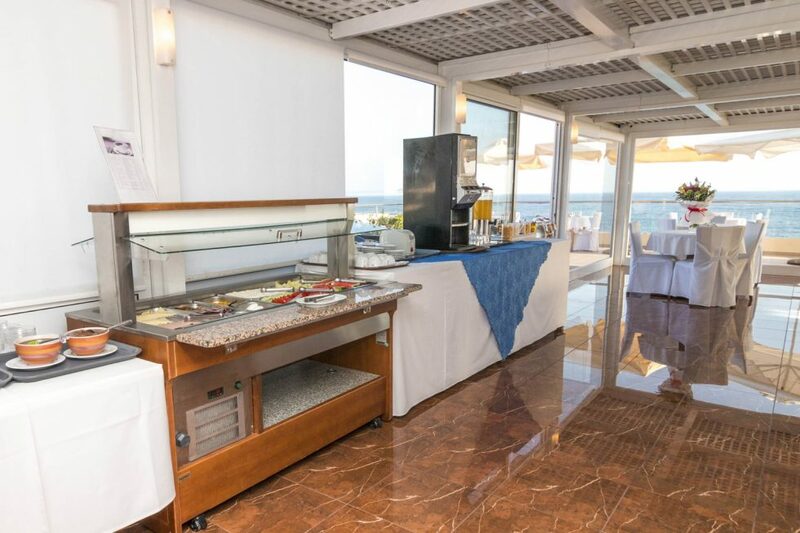 Open from early morning till late in the evening, our pool bar offers a wide range of snacks, fresh salads and sweets as well as beverages, refreshments and signature cocktails that will satisfy even the most demanding. 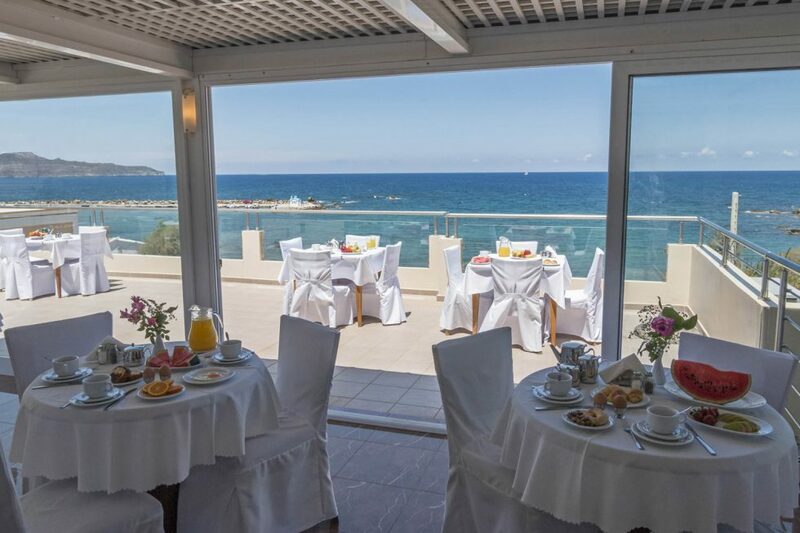 Enjoy your breakfast, your book, your family moments, your romantic getaway and let us serve you what your heart desires. 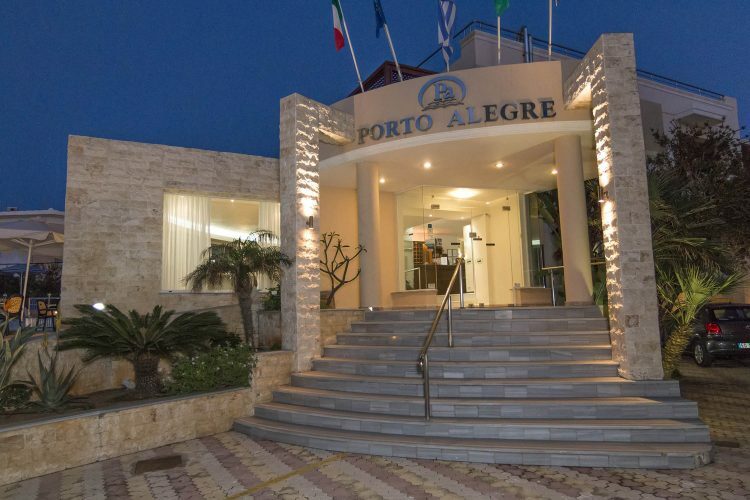 For those that seek relaxation, peace and quiet away from the crowded beaches especially during the high season, Porto Alegre Hotel offers a capturing swimming pool for adults and minors. 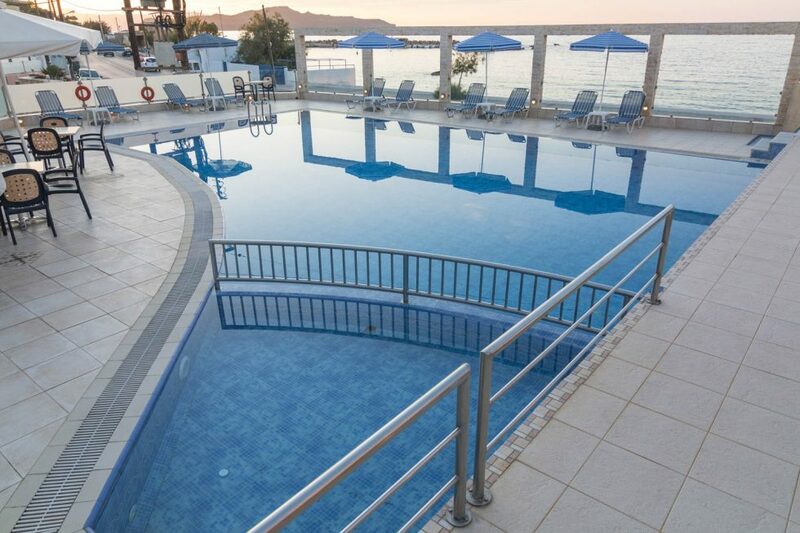 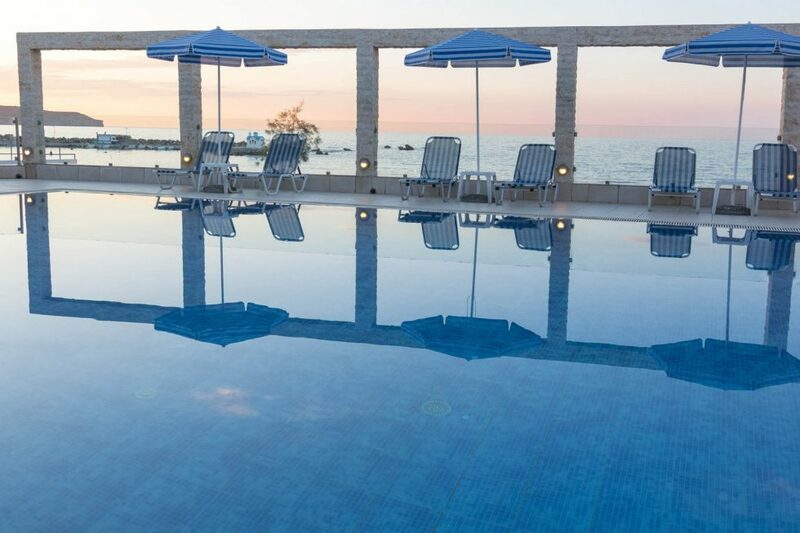 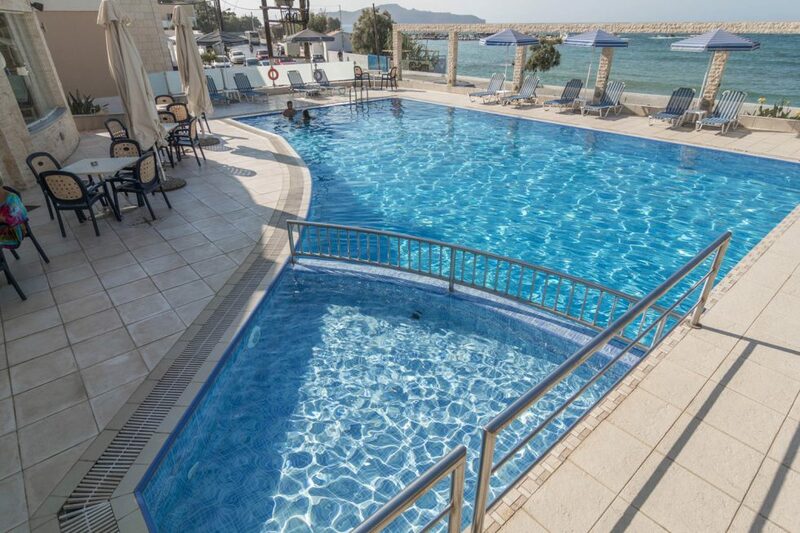 The pool area has a magnificent panoramic view of the sea, and is equipped with a sitting area, lounge chairs, and umbrellas that will provide you the necessary shade in order to enjoy a full day by the pool. 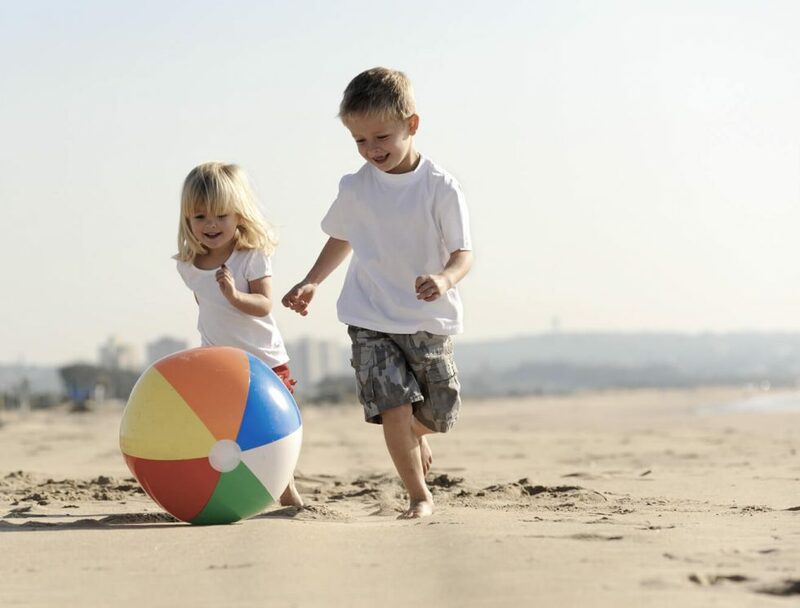 For our junior guests, the hotel has a small outdoor playground, ideal for fun and games.